Welcome to New Horizons Dive Centre, a family friendly PADI 5 star IDC Scuba Diving Centre located in Macclesfield, Cheshire. For over 25 years, we have helped people from Cheshire, Manchester, Staffordshire and beyond complete Snorkelling and PADI Scuba Diving courses, taking in towns from Stockport to Stoke-on-Trent and everywhere in between! Why not come in to see us and get your snorkelling and Scuba Diving adventures going with us? Learn to scuba dive through our PADI Scuba Diving courses, enabling you to dive with confidence anywhere in the world! See if it’s right for you with our snorkelling or Scuba Diving Taster sessions. Get the kids involved and make family holidays an experience to remember! No matter what your experience, develop your scuba diving skills and interests with our range of PADI courses. Explore the world on one of our UK or overseas short breaks or trips. Where will you go next? Gain the confidence to care with our first aid training (EFR); available for non-divers and divers alike. 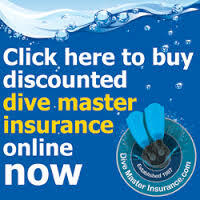 We have a great range of Scuba diving or snorkelling equipment available, with advice and service you can trust. We offer a full gear rental service and provide Scuba diving equipment servicing whenever you need it! Meet like minded buddies at our social events or on our regular dive trips and benefit from a range or discounts.